Jiu Jitsu Spats are a type of compression pants that have become very popular with BJJ fighters especially those that focus on no-gi and submission grappling. 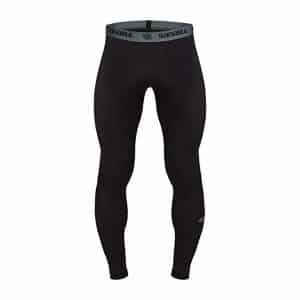 Spats are type of compression pants that are unique in that they are thicker and more reinforced than other compression pants. They are made of a mixture of materials such nylon, polyester, and spandex that really create a way to both reduce friction and regulate the temperature of the human body. It also prevents bacterial infections associated with Brazilian Jiu-Jitsu. The Best BJJ Spats contain many of these elements and at times don’t necessarily have to be “jiu jitsu spats” but rather compression pants that do the same thing and, in some way, could be considered cheap BJJ spats. Here are few of the reasons why buying a BJJ spat is worth your money. Jiu Jitsu Spats are used mainly to improve performance in BJJ in a few unique ways. First and foremost, they reduce overheating as they help the body regulate its natural body temperature. Sometimes overheating can be a real problem for grapplers especially if your training in the summer months. In places like Florida, Arizona, California and Texas it’s important to avoid getting overheated when training hard which can lead to serious negative health effects. The Best BJJ spats should definitely have a cooling effect on the body. Even cheap BJJ spats can work well to cool down the body and draw sweat from your legs. The best BJJ spats will also have a way to help remove sweat from the body and allow you to reduce a slippery feel and often bothersome sensation that accompanies too much sweat. A spat should be thick enough to really absorb the sweat deeply. The lack of sweat also allows a third great element in Jiu Jitsu spats – reducing friction. The fact that they reduce friction allows you to get a better grip on your opponent in positions such as half guard or guard. Also, the lack of friction is great for submissions such as arm bars and triangle chokes. Probably the last benefit of Jiu Jitsu Spats is they are great for hygiene. Many are antimicrobial as well also act as a physical layer which can defend your legs from staph, ringworm, and other skin complications. Best BJJ Spats Buying Guide: What To Look for? Now that you know why you should buy a BJJ spat, here are few important things to look for when buying the best BJJ spats for the money. It’s important to find Jiu Jitsu spats that are comfortable, meaning fitted to the right size and shape. Although they do expand to fit many sizes, it’s still important to pay attention to these details as you ultimately want the best size you can find. Most of the BJJ Spats are made of nylon, spandex and polyester. You can feel the overall thickness of good compression spats as being generally thicker than say the material of a rash guard or even some girl’s yoga leggings. Meaning on average there is a difference between spats vs. compression pants, but not always. Looking for stylish Jiu Jitsu spats is important and this a personal matter you must figure out yourself. It’s important that logos and design are tightly placed together for them not to fade with time. So, look for high quality material and designs to really have beautiful, sleek and long-lasting spats. According to IBJJF competition rules, you are not allowed to wear spats, alone. You can wear spats under the IBJJF regulation board shorts if they are full length and black. However, women can wear spats without shorts if they are black Jiu Jitsu spats. Here are my top 3 picks for best BJJ spats I have personally used during my training. Fuji is one the best brands on the market for spats. Their designs for Jiu Jitsu spats are elegant and beautifully designed and designed for a true Brazilian Jiu Jitsu practitioner with a sense of style of old. Most of their designs bring back imagery from the ancient samurai artwork of Japan. Their spats are fully sublimated, and the pants are light, comfortable and come with improved, higher density polyester spandex blend fabric – resists any peeling or damage to the spats even with heavy wear. Hayabusa spats like most their other gear has beautiful consistent quality. The Metaru 47 shares the same great quality and taste of their other gear. It has a beautiful sleek design that fits tight to the body to give a comfortable feel, yet effective cooling system. Most importantly it is made with special technology powered by X-Static XT2 pure silver, a natural anti-microbial technology, which reduces your risk of skin infections. Lastly it is made with a type of technology that enhances the body’s thermoregulation keeping the skin dry and muscles warm. While technically not made just for Jiu Jitsu and is an all use compression pants. These cheap BJJ spats are great for the price. If you are looking for something at a lower budget but still want quality then go with these Jiu Jitsu spats. They are made of polyester, nylon, spandex mix and comfortable with good knitting. 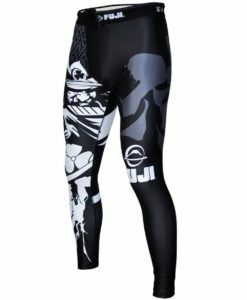 Also, you can use these outdoors for other activities and even has UV protection, so you really can’t go wrong with these cheap bjj spats.